"Your peels are better quality than the ones at the fancy kitchen store in my neighborhood." Buy a wood pizza peel the same size or smaller than your pizza stone. The blade end of your aluminum peel should roughly approximate the width of your wooden peel's blade so it can support the pizza on the way out of the oven. 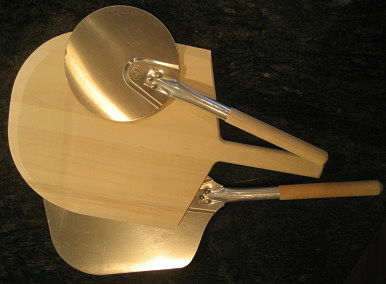 You may have heard of a great pizza-making tool called a pizza paddle, or a pizza blade, or a baking peel.These marvelous tools can be wooden, aluminum, or stainless steel. Don't worry, they're all other terms for a pizza peel. You've come to the right place. 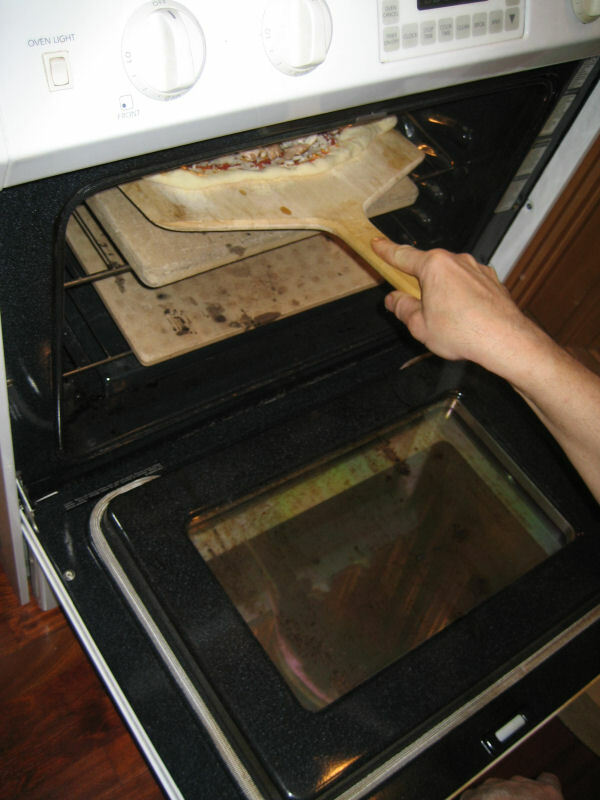 You need a wood pizza peel to make great pizza on a pizza stone in your oven. --Because your final shaping and topping of the pizza happen on your pizza peel. A wood peel's dry surface, sprinkled with cornmeal, keeps your dough from sticking while you build your pizza and slide it into the oven. 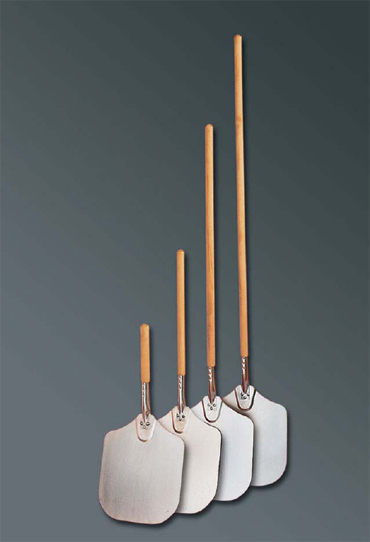 If you want to bake and serve more than one pizza at the same time, you'll want to get more than one wood pizza peel. This lets you get both pizzas built and ready to bake at the same time. You can then go ahead and bake them at the same time if you have two pizza stones on two oven shelves. Now you can all eat at the same time! and ready to slide in the minute you take the first pizza out. So you can still keep the pizza coming—and even grab a slice while the second one bakes. 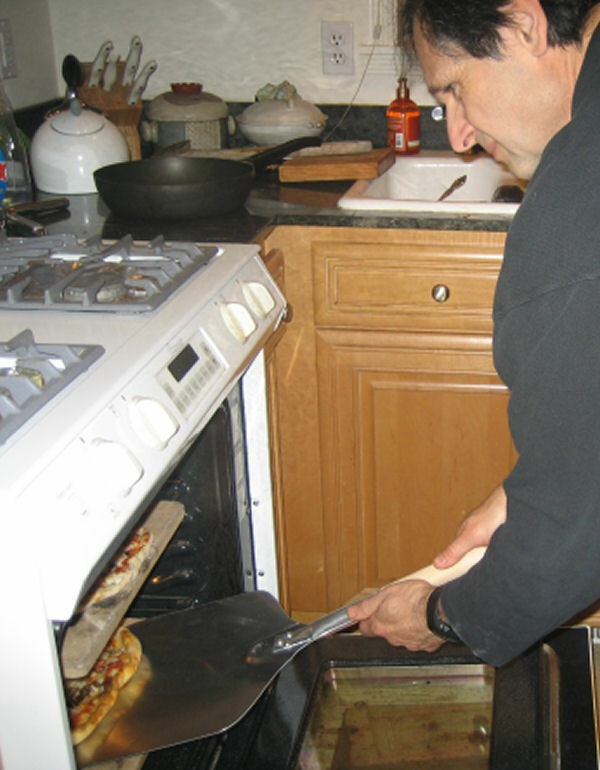 is the best way to slide your pizza out of the oven. 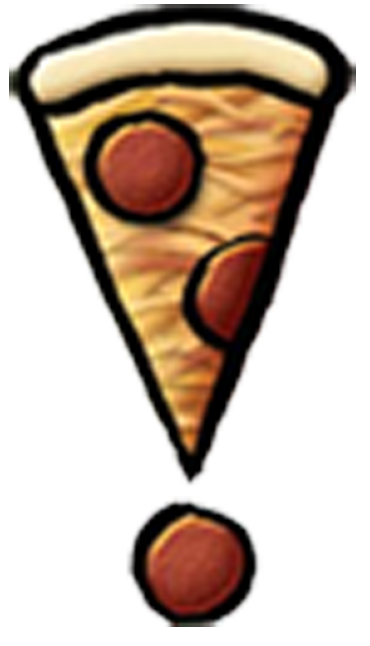 A metal pizza peel's thin edge and smooth surface slide easily between the baked pizza crust and the pizza stone. They do their job in a flash, so you should only need one of these. 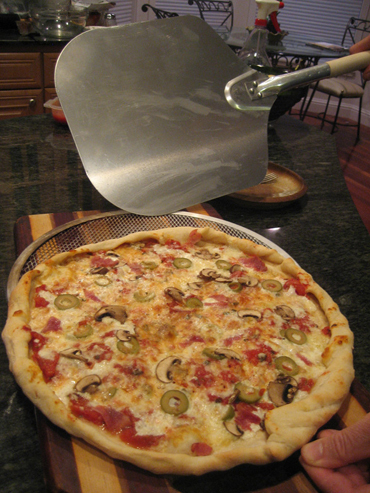 An aluminum pizza peel is also the best way to go if you’re baking your pizza on a metal screen or perforated disk. Your pizza, and the disk or screen you built it on, will slide easily off this peel’s smooth surface and onto your pizza stone. This disk /screen and aluminum pizza peel method is the best way to go on a grill or barbecue. Check out our Barbecue Breakthrough Pizza Making Kit if you want to experience great pizza in the great outdoors. and Take Your Pizza Making to the Next Level. Your aluminum pizza peel shines later. Get a pizza peel that fits in your kitchen. 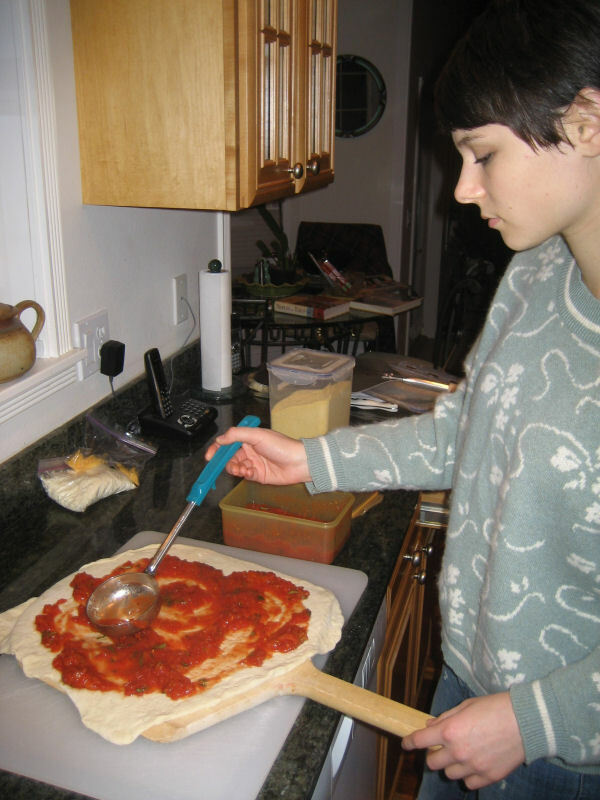 Check the overall length of the peels you select to make sure you can freely use it to slide pizzas into your oven. It may warp. If it does, lay it on a flat surface to dry overnight. If it dried warped, get it wet again and let it dry flat.